OK, it’s time to be honest now. How often do you wash your duvet? Once a month, once a year? Never? Research from The Fine Bedding Company gives us the honest truth – 25% of us haven’t ever washed their duvet, and 33% of people haven’t replaced their duvets and pillows in 10 years. Compare that to the one-third of people who wash their bed sheets every week, and 35% who wash them every two weeks. I’m afraid so. 200ml of sweat is absorbed by your bedding. Every single night. That adds up to over 6 litres in a month and 73 litres in a year. Plus there’s a whole host of other nasties lurking in your duvet, pillows and mattress too. 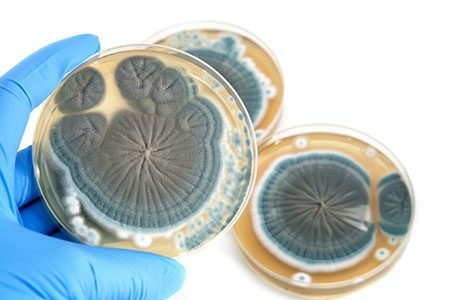 A sample of pillows that were between 18 months and 20 years old were tested for fungi, and the samples yielded 16 different species. 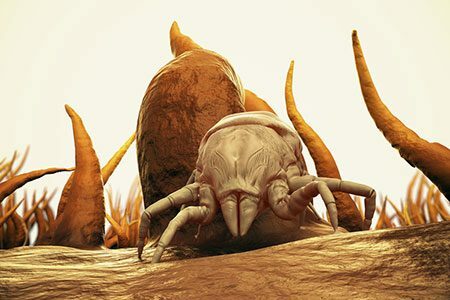 And then there are the 10 million dust mites that are your cosy bed-fellows. Even if you are lucky enough not to suffer from allergies or asthma, it’s pretty unhygienic and not really great for your health. Advice from experts is to wash your duvet once every few months or every six months at a push. How you treat your duvet depends on the type that you own. Duvets made from synthetic materials tend to be a cheaper option than down or feathers, plus they can give you plenty of flexibility in terms of size and tog rating. Your synthetic duvet should have a washing label with the recommended washing temperature on it, plus whether it is suitable for drying in a tumble dryer. If the recommendations allow, wash your duvet at 60 degrees. This will ensure that any bacteria or microbes are killed off, as well as cleaning out any sweat or other liquids that have been absorbed. Then put it straight into the tumble dryer or hang outside to dry. Again, start with checking the care label on your duvet or check with the manufacturer. The majority of natural fibre duvets are not suitable for washing at home or drying in a tumble dryer. Most manufacturers recommend using a dry cleaner. It’s very important that the filling inside your duvet is washed and dried thoroughly, as it can start to rot if it is exposed to moisture for too long. Some wool duvets can be washed in your washing machine but check the care label in case you need to take it to a dry cleaner. If you are washing at home, make sure you spin the duvet well to get rid of excess moisture. You will need to air dry your duvet as it won’t be suitable to go in a tumble dryer. If in doubt, think about how you would deal with your wool suit or jumpers! Where can I wash my duvet? Although it is definitely the easiest option, your washing machine may not be big enough to really wash your duvet thoroughly. You need to ensure that your duvet has enough room to move around during the cycle and not just be squashed in. If you have a high tog duvet or a super king size, you’d be best off trekking to the launderette. The same applies for drying your duvet. Tumble dryers do tend to have bigger drums than washing machines but you may still need to seek out a large size dryer. If you are hanging your duvet up outside, make sure that the whole duvet is elevated off the ground, to avoid any extra visitors getting cosy. For all types of duvets, give them a good shake when they’ve come out of the washing machine to make sure the filling is distributed evenly. 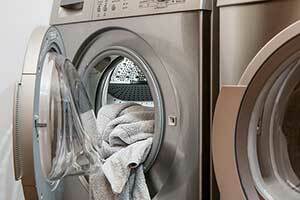 You’ll only need to use about one-third of detergent than you would for a normal wash. Using a dry cleaner is the safest option, but obviously you will be paying for the privilege. If you have an expensive duvet, one made from natural fibres or there are a lot of stains, definitely stick with the professionals. It is possible to wash your duvet in a bath, or paddling pool outside, but it does require a lot of effort. Use really hot water and your normal laundry detergent, but make sure you can rinse it out effectively (you may need to rinse more than once). Washing by hand will make your duvet wetter, so you will need to allow a longer drying time. Washing your duvet isn’t the most exciting pastime, and is guaranteed to make you feel like a proper grown-up. However, do you really want to be sharing your bed with huge amounts of dust mites and the sweat of anyone who sleeps in the bed? Go on, treat yourself to a duvet (washing) day! And finally if your duvet is just to far gone and can’t cope with any more washing then have a look at my recommendations for the top duvets.